Vacuum and sewing machine repairs have been Poway Sewing and Vacuum's specialty for 40 years. We are a community friendly shop, offering personal service and care to our customers! Poway Sewing and Vacuum provides a high quality of personal service when meeting our customer’s vacuum and sewing machine needs. You will always get a person on the phone when you have a concern or a question! Anyone can sell you a vacuum or sewing machine, but we take great pride in making sure your vacuum and sewing machine works to your satisfaction! We thank Poway and the surrounding communities of Ramona, Rancho Penasquitos, Scripps Ranch, Rancho Bernardo, and Escondido for 40 years of loyalty! 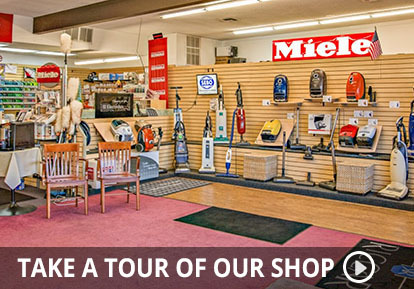 Please visit our store or call today so we can answer your vacuum or sewing machine questions!